Two songs featuring the singers hit the Internet on Monday. 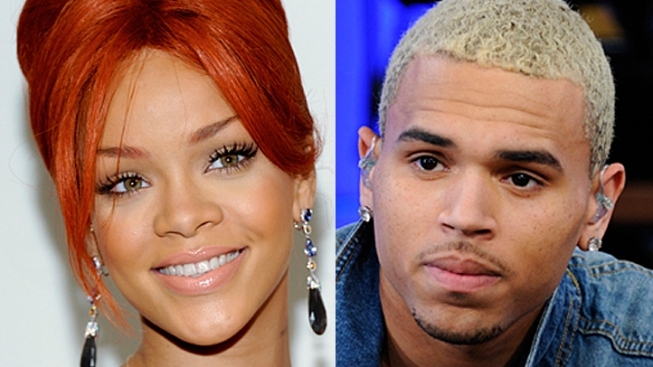 Brown is serving five years of probation for assaulting Rihanna in 2009. Brown tweeted a link to the new version of "Turn Up the Music" on Monday, and Rihanna later retweeted it. She also tweeted about the remix for "Birthday Cake." Brown attacked his then-girlfriend Rihanna at a pre-Grammy Awards party in 2009. He pleaded guilty to a felony charge and is serving five years of probation. Last year, a judge eased a restraining order after an attorney for Rihanna said she didn't object to removing the stay-away provisions. The order had required Brown to stay 50 yards away from Rihanna, but the restriction was reduced to 10 yards if they were at a music industry event. After a three-year absence from the Grammys, Brown made his return this year, performing twice at the show and winning best R&B album. Rihanna also performed and picked up a trophy. Rihanna, whose full name is Robyn Rihanna Fenty, told Esquire magazine in its October 2010 issue that she no longer resented Brown and that she enjoys his music. The two singers first collaborated musically in 2007 on the remix to her monster hit "Umbrella." Brown also tweeted "HAPPY BIRTHDAY ROBYN" to Rihanna, who turned 24 on Monday. A representative for Rihanna said she had no comment. An email seeking comment from Brown's representatives went unreturned Monday.